Deutsche Bank analyst Chris Whitmore recently released a Q3 iPhone prognostication that paralleled his original forecast this spring. According to Whitmore, Apple will release two new models within the coming weeks; an all-new iPhone 5 and a budget-friendly iPhone 4S. The analyst goes even further by elevating his Apple share estimate from $500 to $530 and instilling a Buy recommendation on the stock. Whitmore's push for higher share value is based on his estimated bill-of-material cost for the potential iPhone 4S. Previously, it was $165 for production costs, but he and his associates have since whittled that figure to a $150 approximation. That production cost wiggle room is what will drive the share value higher, according to Whitmore. He believes the iPhone 4S will sell for $300-350, which will net Apple a $150-200 profit margin per device. This way, Apple can address the mid-range smartphone market whilst maintaining its higher share values. If the iPhone 5 lives up to the hype, Apple stock will have a much better chance of reaching Whitmore's $530 estimate. Case-mate has already given us view of the iPhone 5's supposed backside, suggesting a unibody aluminum construction, and Otterbox has inadvertently led us to an iPhone 4S via a case packaging leak. These two clues were the most compelling yet, and they fall directly in line with Whitmore's statements. "We expect Apple to maintain a market share lead throughout our forecast period by commanding more than 50 percent of the market until 2014. This is because Apple delivers a superior and unified user experience across its hardware, software and services. Unless competitors can respond with a similar approach, challenges to Apple's position will be minimal." The prognosis seems to be that Apple is looking quite healthy as the company prepares for battle against the Android Nation within the coming years. One thing is certain, and that's the fact that Apple lovers need a new iPhone. 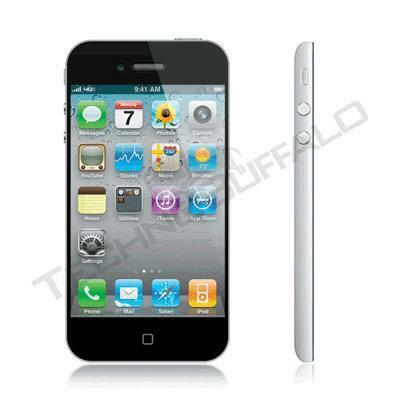 If the iPhone 5 is a greater success than the iPhone 4, Apple should not have anything to fret over.